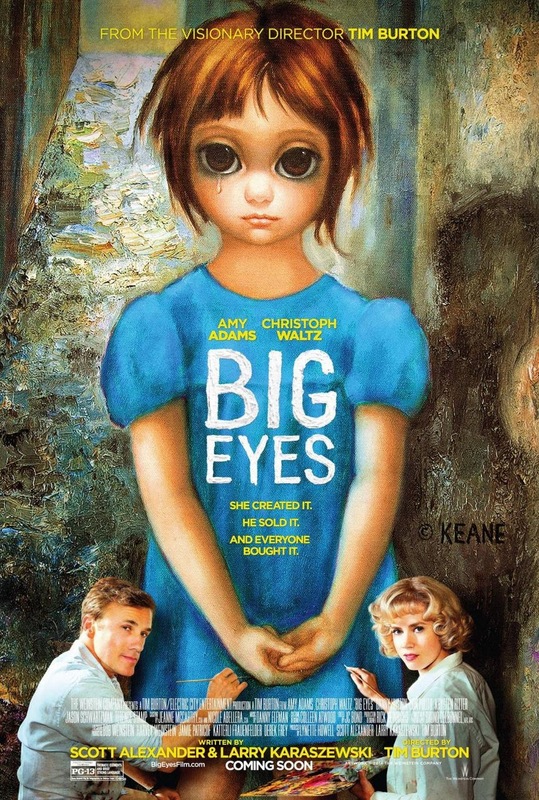 Big Eyes is an upcoming 2014 biopic film directed by Tim Burton focusing on American artist Margaret Keane, whose work was fraudulently claimed in the 1950s and 1960s by her then-husband, Walter Keane. The film tells the story of their heated divorce trial wherein Margaret accused Walter of stealing her paintings. Margaret Keane is played by Amy Adams, with Walter portrayed by Christoph Waltz. The film is scheduled to be released on December 25, 2014, by The Weinstein Company. Margaret Keane's work as an artist became phenomenally successful in the 1950s, but she was given no recognition for her work. Her husband, Walter Keane, claimed to be the artist and became a national celebrity and talk show fixture in the 1950s after he pioneered the mass production of prints of big-eyed kids, and used his marketing savvy to sell them cheaply in hardware stores and gas stations across the United States. Margaret generated the paintings from their basement and Walter's contribution was adding his signature to the bottom. The ruse broke up their marriage, and when she tried to make it known that she authored the paintings, they ended up in a court battle after she found that Walter took the paintings without permission. The case is culminated in a dramatic courtroom showdown.